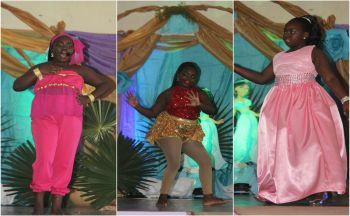 EAST END, Tortola, VI – The energetic seven-year old, Amiah E. Stout, contestant number two was crowned at this year’s first ever Tiny Duchess of East End at the East End/Long Look Community Center on Sunday July 30, 2017. Stout copped the awards for Miss Photogenic, Best Festival Costume Wear and Best Talent, while contestant number one, Deondra A. Scatliffe received awards for Miss Popularity, Best Introduction, Best Storybook Character and Best Tea Party wear. Contestant number three, Nivea N. Mingo, of Willard Wheatley Primary School was also a contestant in the Tiny Duchess of East End 2017. Speaking to our news reporter after the crowning, Amiah E. Stout, a student at the Althea Scatliffe Primary School, expressed that she feels good about being the winner. “I didn’t expect to win because the girl who was getting the most sashes, I thought she was going to win but it was me. I thought I came second,” said Stout. She further stated that she always wanted to be a princess because they are “friendly and pretty,” adding that she would like to become a queen next. Nine-year old Sheniyah V.E. Freeman, a student of the Joyce Samuel Primary School was crowned this year's 2017 Jr. Duchess of the East. Just too many gone dam shows.